So here we are at the end of another Autism Awareness/Acceptance Month. This year, I discovered this really interesting site. 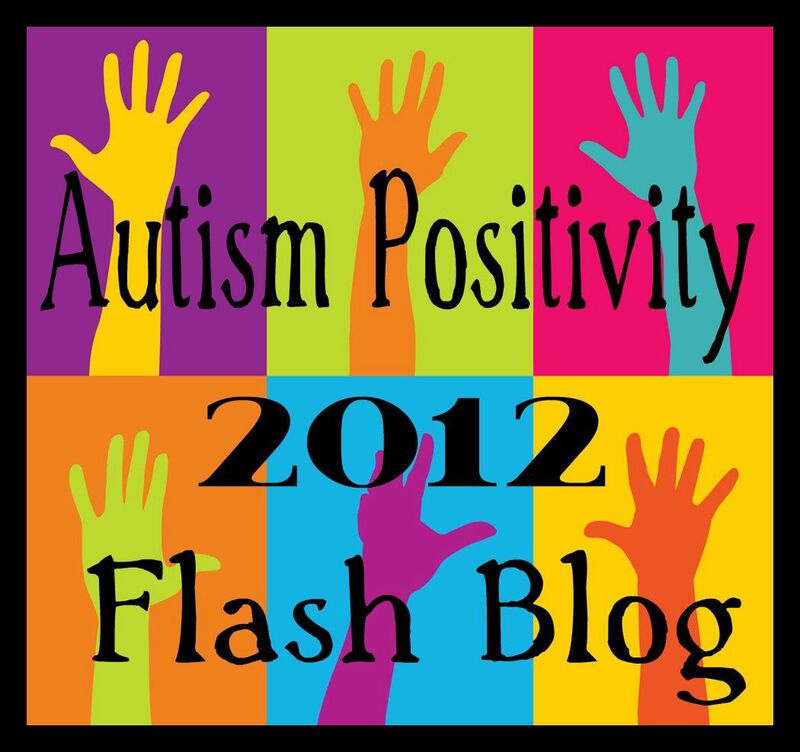 It’s a “flash blog” called Autism Positivity. I’m guessing that a flash blog is something like a flash mob. It appears out of nowhere, does something really cool, and then disappears. The goal of this flash blog is to present 1,000 pieces from people touched by ASD—pieces that celebrate the positive side of the ASD constellation. 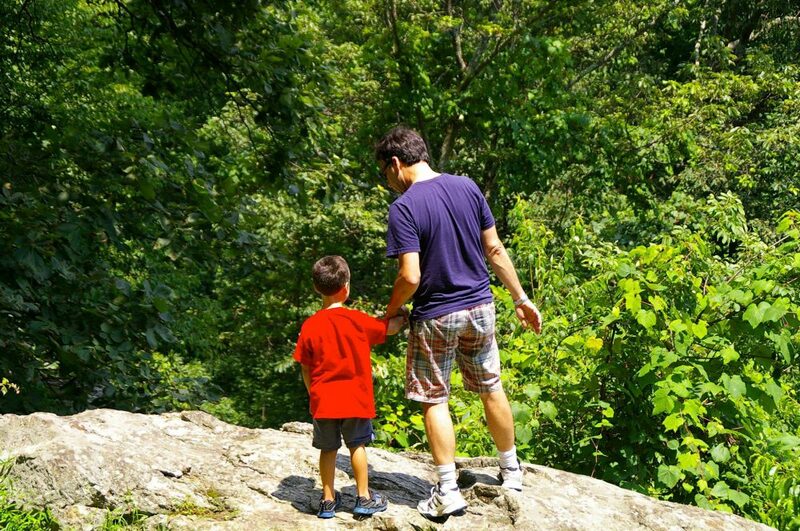 So what’s “ausome” about being an ASD dad? Simply put: my family. • First, there’s my oldest, a thirteen-year-old boy with PDD-NOS. Socially, he’s catching up with his peers. He’s beginning to find his “tribe” in the heartless scrum that is middle school. He has a quick wit and a nimble mind. He also has a rich vocabulary. So what if he sometimes can’t distinguish between the literal and figurative speech some of his friends use? It’s helping him learn the ways of that alien species, the neurotypical adolescent. • Then there’s my twelve-year-old daughter. She is as aspie as they come, and she knows it. And she owns it. And she uses it to her advantage as often as we’ll let her. She can retreat into her own rich, private world for hours but still come out of herself when she sees the need. She clearly marches to her own drummer, but she is beginning to show that she “gets” where her brothers and sister are at. Plus, she has my mother’s smile. What’s not to love? • Then comes my nine-year-old son, whose Aspergers reminds you of Mozart or Albert Einstein. 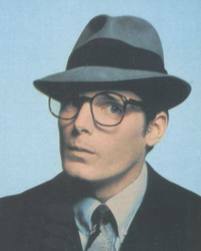 Intellectually, he’s got enough wattage to light up the Manhattan skyline. He can’t stand to wear denim jeans (“They hurt!”), and he is never happier than when he’s on the computer building new worlds in Minecraft. A passionate soul, he has an exaggerated sense of justice, taking deep offense at every joke or slight. But that same passion can fuel him for hours as he builds complex Lego structures without a blueprint or develops a new outside game for his younger siblings to play. • Next up, my seven-year-old son, who has high-functioning autism. He has the brightest smile in the universe and the sweetest disposition—when he’s not melting down. And when he does melt down, he recovers with amazing speed and is very quick with a repentant hug and heartfelt words of contrition. He doesn’t quite know how to make friends on the playground yet, but it doesn’t bother him. He’s content just to swing on his own, staring into space dreaming his dreams. • Then there’s my five-year-old little girl, who has ADHD and may well be aspie. She’s an impish little spitfire of a thing. Some might call her restless or easily distracted. I call her Little Pip because she’s always hopping around. A daddy’s girl from the day she was born, she loves nothing more than a warm cuddle or a kiss on the cheek. What does she dislike? Clothing tags. Hates them with a passion. Now if only I could get her to look me in the eye! • Then there’s the youngest, a four-year-old boy with PDD-NOS. He too is perpetually on the move—except when he decides to “plank.” He is extremely passionate about Angry Birds—so much so that he will play the game with any projectile he can find. Including his dinner. Which, of course, cannot be eaten sitting down. He is very good at mind-blindedly annoying his siblings. Or his mom. Or his dad. But he often gets a pass, because he does it with such a broad grin that we tend to melt. • Finally, there’s my wife. (No, I’m not going to tell you her age.) She’s not on the spectrum, so she’s not officially “ausome.” But it doesn’t matter, considering how awesome she is. Day in and day out, she lays down her life for her kids and never complains about the work. No regrets. No recrimination. No remorse. Just a lot of love and a dogged determination to help our kids become the best version of themselves possible. A psychologist friend once told me that raising one special-needs kid is about as demanding as raising three neurotypical kids. So there’s Katie, raising the equivalent of 18 children, and doing it with nothing but grace, wisdom, wit, and energy. So that’s what’s ausome about ASD. It’s funny, but because we live and breathe this stuff every day, we can’t always tell when our kids are being aspie or being just plain kids. We simply don’t know what neurotypical looks like! But that’s probably the biggest blessing of all. The labels don’t matter. What matters is the love. What matters is enjoying our kids for the wonderful constellation of gifts and challenges each of them has. What matters is knowing what every dad should know: that to touch your child is to touch heaven itself. Take a look at this story about an aspie fellow trying to survive a conversation with an alien species—in this case a neurotypical alpha male. It’s really quite entertaining, but it also gives a glimpse into all the work that folks on the spectrum often have to put into supposedly normal, everyday interactions. If only the exchange had been videotaped! The most recent estimates from the CDC tell us that 1 in 50 school-aged children are on the autism spectrum. That’s a considerable jump from the 2008 estimate of 1 in 88 children. Which itself was a huge jump from 1 in 150 in 2000. So what gives? A raging epidemic? Not really—at least not this time around. It seems that a major reason for the jump is the CDC’s new method of data gathering. The 2008 number of 1 in 88 is based on a survey of clinical records of 8-year-old children in only 14 states. But the new numbers are derived from a national phone survey of parents of children aged 6-17. That’s a lot of changed variables, so the numbers are bound to be different. Not to mention, the latest study reports a large increase in older children (ages 14-17) who were not previously identified as being on the autism spectrum now receiving a diagnosis—a sign that increased awareness is leading to increased diagnoses. Then there’s this difference, which really grabbed my attention: One of the largest increases in reported cases is of children shown to be on the less severe, more mild, end of the spectrum. This is probably an apt description of my ASD kids. They’re verbal. They score pretty high in intelligence testing. Their social deficits, while real, don’t tend to be crippling (well, maybe sometimes). They have mild forms of ASD. But just what does mild look like? Here are a few pictures. • Mild is the adolescent girl who, in the throes of a melt down, spits a mouthful of her half-chewed dinner at her father. • Mild is the seven-year-old whose reaction to even the smallest disapproval or conflict from his parents borders on global thermonuclear war, complete with high-pitched, spine-tingling screams. • Mild is the four-year-old who, if the conflict between what he wants and what he needs to do gets too intense, goes stiff as a board and refuses to talk. • Mild is the nine-year-old who comes home crying, convinced that he’s a complete failure because he can’t understand why his classmates don’t want to play dodge ball according to his unique rules. So while it is good news that the increase in diagnoses is for kids on the mild end of the spectrum, observers need to understand that mild ASD is not the same as a mild head cold. It’s hard. It’s painful. And it doesn’t go away. Something else about this term, “mild.” The fact that my kids are doing as well as they are is a testament to the benefits of intervention and education. My oldest, for instance, has come so far that a general psychologist—one not trained in the intricacies of ASD—wonders if he is on the spectrum at all. Of course, this is highly unlikely, seeing how the school psychologist, the psychiatrist, and our ASD psychologist all stand by their diagnoses. Still, it’s a huge relief to see this kid overcome some of his social deficits and learn how to deal with many of his sensory processing challenges. And there are times when we can’t tell whether what we’re seeing is ASD or just ATD—American Teenager Disorder. The there’s our youngest. We caught him early—around 18 months—and he has been receiving speech and pragmatic language therapy for nearly two years. He has made significant headway in his social skills, and some of his sensory problems have begun to diminish. Still, a day doesn’t go by without Katie and me looking at him, then looking at each other, and sharing an all-too familiar sigh. Yes, therapy works. Katie and I can attest to the fact that our kids were not always as manageable as they are now. That’s because, in part, we know what we’re doing now—at least more than we did when the first diagnoses were handed down four years ago. Using the techniques like cognitive and dialectical behavior therapies, we are learning how to handle, and sometimes even prevent, melt downs. (We don’t always do well, mind you, but that’s a different story.) We’re teaching our kids how to understand their peers. We’re showing them strategies for dealing with the stresses they feel just living in a neurotypical world. Through bitter experience, and thanks to a lot of help from coaches, we are also getting much better at advocating for our kids in school. And the older ones are even beginning to learn how to advocate for themselves. We also have not shied away from medications if we think they can help manage some of the symptoms of ASD. I’m talking about antidepressants, ADHD medicine, sleep aids, and the occasional anti-psychotic. Every now and then, we cringe at the thought of the chemicals our kids are ingesting. But then we think back to what they were like before, and we relax. It’s a good thing, every now and then, to chart the growth our kids have made. But we both know that this doesn’t necessarily mean that they’re being cured. In fact, a recent study showed that while it is possible for some people on the autism spectrum to recover to the point that they lose their diagnosis altogether, it is still pretty rare, and it never happens without years of intensive therapy. That’s what we’re working toward, even though we know it may never happen. It’s why I make the fifty-mile round trip journey to our therapist twice a week. It’s why Katie has read close to twenty books on ASD and its treatment. It’s why we are in weekly contact with our kids’ teachers, guidance counselors, and school administrators. It’s why we don’t have a social life—or much of a life at all. And it’s why we keep working with our kids, never excusing them or letting them off the hook. They have made good progress so far. But they have a good way to go if they want to beat the odds. So the next time you hear about mild autism or mild Aspergers, don’t write it off. Usually, there’s a lot going on behind the scenes—a lot of heartache and anxiety. A lot of hard work and uphill climbing. A lot of praying and prodding. A lot of two steps forward, one step back—and sometimes the other way around. But it’s all worth it. We ASD parents know our kids have huge potential, and we won’t rest until we see them realize it. Exactly. That’s our experience as well. Believing in God, going to church, having a regular prayer time, etc. None of it guarantees you a problem-free life. It may help you face the challenges when they come. It may help make you more peaceful, more patient, and more trusting. But it won’t shield you from the bad stuff. It should help protect you from sin and all the bad stuff that is the direct result of your own personal sins. But it won’t shield you from the bad-things-happen-to-good-people stuff. I’ve got to hand it to this fellow for being honest about how broken he feels by his son’s situation. He doesn’t try to put a brave face on everything because he doesn’t want to give Christianity a bad name. He’s clearly been through the wringer, and he’s not going to deny it. I also want to commend him for his determination. He hasn’t given up on God. He’s still out there helping people. He’s still pouring himself out for his church and leading a congregation in prayer—all with the goal of bringing them in touch with God. Really inspiring! But what this post got me to thinking about, again, was something I hinted at in a more recent post of mine: My kids on the spectrum have a prophetic role to play in this world. And for that reason, I am beginning to think that their ASD is part of God’s plan—for them and for the people whose lives will intersect theirs. Here’s the thing: We want our children to be perfect. We want them to have good health, a good education, a bright future, no real problems or major roadblocks on the way to happiness. But then autism happens. Or cerebral palsy. Or mental retardation. Or childhood diabetes. Or a host of other genetic, uncontrollable diseases and disorders. Suddenly the dream of a near-perfect life is gone. Our hopes are shattered. We worry constantly about our children’s futures. Their present is a long list of treatments, medical bills, and huge adjustments to everyday life. What happened? We had such beautiful plans, and now they seem smashed to pieces. Quite often, too, we begin to wonder where God is in all of this. How could he let this happen to our innocent little child? What kind of Father is he anyway? I know a thing or two about fatherhood, and in no way does this fit into my definition. Many people, hurt and disenchanted, turn away from God. Others try to comfort themselves with analgesic statements drawn from inspirational posters and Chicken Soup for the Soul books. Anything to help reconcile our plans and dreams with the far more difficult reality thrust upon us and our children. But what if this was part of God’s plan all along? What if this was part of the way he dreamed our children into existence from the start? After all, the Bible tells us that every hair on our heads is counted (Matthew 10:30). It tells us that God knit us together in our mother’s womb, and that every day of our lives is already written in his book (Psalm 139:13, 16). Drawing on a particularly memorable description of the act of conception, it tells us that God poured us out like milk and curdled us like cheese (Job 10:10). If he was so intimately involved in our children’s creation, how could something like this slip in unintended? 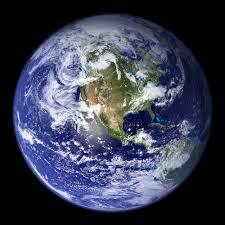 Actually, it’s not too hard to imagine that God had a hand in this. His ways aren’t our ways, are they? We may want a comfortable home in the suburbs, good schools, and a promising career for our kids, but I suspect that God has other fish to fry. Not that he has anything against the middle-class American dream, but I think his sights are set a good deal higher. He seems to be much more interested in a world marked by love, compassion, justice, and mercy. He seems to care more whether the people he created look and act like his Son—a poor carpenter who didn’t have a place to lay his head. So how is he going to get this to happen? Certainly not by giving everyone the same homogenized, perfect, problem-free lot in life. If there were no poor, there would be no generosity. If there were no sickness, there would be no compassion. If there were no hardship, there would be no growth in character. There would only be one big, bland, barrel of blah. Yes, God wants to give us good gifts. But the gifts and the goodness he has in mind far outweigh the trinkets and gewgaws we often ask for. No, there has to be sickness. There have to be disorders. There have to be natural injustices like autism, down syndrome, and MS. It’s all part of the “happy fault” and the “necessary sin of Adam” that we Catholics exult in at the Easter Vigil. So no, life isn’t fair. It isn’t supposed to be fair—at least not according to our standards. It’s about how we take what God gives us and use it to build his kingdom. That’s why I think kids with special needs have a valuable, prophetic role to play in this world. In a way, they are God’s word to us. They call us to a deeper, more meaningful life. With their innocence and vulnerability, they invite us to become more than the collection of our possessions, our education, and our ambitions. They call us to become Christ for them, even as we see Christ in their eyes. I don’t know whether Jackson will be fully restored in this life or the next, but he will be restored. It will happen. That means my son and others like him—the ones who for centuries have been forgotten, bullied, mocked, and thrown away—they will be heralded like Kings and Queens, and celebrated like rock stars. While I pray every day for my kids’ healing (and I’m not always sure what that means), I get the sense that their full restoration won’t happen this side of eternity. They have too important a part to play. But I do believe that in this life they will be “heralded” like the royalty they are—if by only a few people. In my heart I try to do that every day, and I firmly believe that they’ll find other people who will treat them with just as much honor and reverence. People who will love and accept them for everything about who they are—not in spite of it. I know that’s how God looks at them. 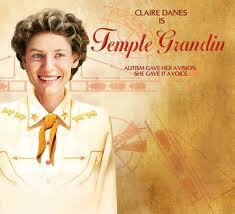 So we saw the HBO movie Temple Grandin this weekend. For those who don’t know, that is the name of a professor of animal science at Colorado State University. Her designs for slaughterhouses have revolutionized the beef industry, and she is an outspoken advocate for the humane treatment of cattle. She has become a household name among ranchers and cattle handlers, and her book, Thinking in Pictures, is a best seller. 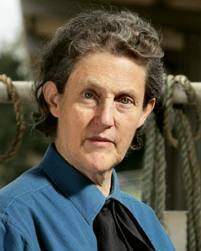 Temple Grandin has autism. She didn’t speak until she was four. She was expelled from elementary school, and bullied in high school. She hates being touched by anyone, even her mother. She eats only yogurt and Jello. She insists on wearing cowboy shirts and jeans everywhere she goes. She can’t stand loud noises. And she developed a special “squeeze machine” that she used for decades when she would feel overwhelmed or close to melting down. Katie and I had seen the movie before, but we wanted our older kids to see it this time. We wanted to expose them to someone on the autism spectrum who has made a successful life for herself, someone we consider a true hero in the world of ASD. The kids enjoyed the movie, and our two oldest were able to see some of their own lives in this woman’s story. But honestly, I think Katie and I learned more than they did. We have been working so hard lately on getting the kids through school assignments, helping them work on their social skills, and managing melt downs that it was good to be able to step back and get a big-picture perspective. Watching the movie’s portrayal of some of the emotional toll that ASD takes on a family was difficult at times, but the tough stuff was overshadowed by the portrait of a young woman who pushed through numerous deficits to find her way in the world and make a real contribution. It also portrayed a mother who simply would not give up. “Different, not less.” That’s how she constantly described her daughter to skeptics and scoffers. She held on to the vision of her girl making it through college and living independently, pursuing a career, and she imparted that kind of determination to her daughter. This may sound like a feel-good, moral-of-the-story type of movie. And to a certain degree it is. But what it did for me was remind me that all the work we’re doing for our kids has a purpose. It can be so hard just getting through a day sometimes that I can forget how much potential these kids have. The tunnel vision that results from daily battles can make me lose sight of the future that is available to them—a future that is just a bright and promising as any neurotypical child. But the other thing the movie did was to help me see that it’s not all up to Katie and me. Yes, we have a ton of work to do to help them face a world that won’t readily understand or accept them. But our kids are also capable of discovering their own passions and chasing them down, if we can just set them on the right footing. I am a worrier by nature; I’ve always known that. Sometimes in my worrying and trying to get everything just right, I can forget that my kids are making their own plans and developing their own visions quite independent of me. And that’s okay, as long as Katie and I can give them the foundation they need to pursue these visions—and the skills they will need to live in a world that can seem so alien to some of them. Anyway, here’s a link to the final scene from the movie, where Temple and her mother attend a conference on autism, and Temple gives an excellent summary not only of some of the major challenges that people with ASD face but also of her mother’s hard work on her behalf. It’s really quite touching to see the different emotions that play across her mother’s face as Temple unwittingly gives a huge, long shout-out to everything her mother did for her. Watch it, and you’ll see why this is the scene never fails to put a lump in my throat. Yes, our kids are different. At times, very different. Quirky with a capital Q different. But they are not in any way less. That’s something I have to keep telling myself. But it’s also something that they’re beginning to tell me. It took me a couple of days to find it, but here it is: the Vatican’s message to families touched by autism. On every April 2, World Autism Awareness Day, the Pontifical Council for Healthcare Workers publishes something like this. On one hand, we can read these official statements as little more than that—official, almost boilerplate language that can be applied to any other disability. All you have to do is swap out “autism” with “cerebral palsy” or “depression” or some other brain disorder. Or we can read these messages as words from the heart, intended to offer something personal to the ones affected by this disorder. I choose the second option. And not just because I happen to be a Catholic. When I read Archbishop Zimowski’s words, I saw that he really does get some of the challenges of ASD and of having a child on the spectrum. For one thing, he spoke of the feeling of “loss,” but also of “amazement,” that parents of ASD children can experience. And that strikes me as right. Hearing the diagnoses for my kids—one after another after another—was like a stab in the heart each time. Especially when we got the news the first time, I was stunned. “Loss” was definitely the first thing I felt. The sense that this beautiful son of ours had lost his future. The sense that my wife and I had lost any hope for having a full relationship with him. The fear that he would lose any opportunity for an independent life. And, yes, the fear that we had lost our future as a happily retired couple with no worries about our grown children. But at the same time, there was a sense of amazement. It didn’t happen all at once. But over the next few days, as I got used to the word “autism,” I was amazed at how beautiful, loving, and genuinely happy my boy was. (Mind you, he was only three years old at the time, and every kid at that age is really cute. But still. . .) I was amazed at how much more my heart went out to him. I was amazed at how deeply he could respond to me, even though he had yet to speak a word and at times appeared lost in his own world. I was amazed that, even in the midst of my loss, I never thought it was completely hopeless. Somehow I knew that God had our boy in his hands and that a path would open up before him over time. And slowly, through therapy, our own understanding and advocacy, and a growing awareness about ASD in the broader world, I am beginning to see this path—for him as well as for his other ASD siblings. Finally, and most important, I am amazed at how much these kids show us the face of Christ. The other thing that Archbishop Zimowski speaks about is the sense of solidarity that the Church feels with people on the autism spectrum and their families. It’s a pledge to walk with us, alongside of us as brothers and sisters. Not in a patronizing, pitying way but as our peers who see the value, the beauty, and the vital role of those struggling with this disorder. This, I think, is one of the greatest gifts that the Church can give to families like ours. In a world that tends to assess people’s worth based on their material contribution to society, the Church is telling us that our kids offer something just as important, if not more so. I wrote about this just a few days ago, and it has been sticking in my mind ever since. We may not find therapy in the Church, but we will find acceptance. We know we will find people who can see our kids in the same way they see every other child: as a gift and a mystery. Of course, this doesn’t always happen. No parish is perfect, after all. But that’s what makes these words so much sweeter. We know we belong. We have the words to prove it. And we have the Spirit behind the words to remind us whenever we feel otherwise. So on behalf of Katie and my kids, I’d like to say “Thank you” to Archbishop Zimowski for his message. I’d also like to say “Thank you” as well to Pope Francis, who in just the few weeks since his election has done so much to show the world what solidarity really looks like. And I’d like to say “Thank you” to every priest and parishioner who has ever welcomed us and shown us the love of Christ. A couple of days ago, I wrote about my 12-year-old girl’s hour-long search for her purse—a quest that made her late for school and me late for work. Well, I want to follow up with something that happened as I drove her to school that morning. As we backed out of the driveway , she picked up my wallet and began rifling through my cards: driver’s license, insurance ID, business cards, credit cards, etc. I didn’t pursue it right then and there. I was just glad we were heading in the right direction without any major incident. But later that evening, I asked her about it. Evidently, it worked. She had a pretty good day at school—which is to say that Katie had to field only one anxiety-laden phone call from her. She did okay on her homework, and the evening went off without any major melt downs. If that’s all it took for her to get right with the world, I was more than happy to oblige. Heck, I’d stack my wallet with a whole deck of playing cards! Then there was the phase when she had to take all of her Littlest Pet Shop dolls to school in a purse so that she could reach in and touch them when she was feeling stressed out or lonely. Or the habit, which persists, of taking a suitcase filled with her Webkinz plush animals whenever we go on a day trip or a vacation. Oh, and she still plays with water. She’ll dunk her face in the bathroom sink or fill up a small hole she dug in the back yard so that she can squish her feet in the mud. Anyone who has a child on the autism spectrum will identify with these types of behavior. They’re all the unique ways ASD kids will diffuse tension. When they’re not melting down, that is. What’s there to diffuse? Plenty. There’s the tension that comes from sensory processing glitches. Most of us don’t get bothered by things like fluorescent lights, the sound of traffic, or other sensory input that is part of our everyday, noisy existence. But many kids on the spectrum are highly attuned to these things. One of my kids, for instance, can’t stand the feel of denim. The only pants he will wear are sweats—and not the shiny kind. There’s also the tension that comes from having to deal with people. Social communication can be hard on ASD kids, because many of them have a hard time reading the subtleties of body language and vocal inflections. It’s like deciphering hieroglyphics, and it’s exhausting. And finally, there’s the tension that comes from just plain knowing how different you are. As I mentioned in an earlier post, the co-incidence of ASD and depression or anxiety is very high—mainly stemming from this sense of otherness. So with all of these factors at work, it’s no wonder that folks on the spectrum try to find ways to relieve the pressure that builds up. Temple Grandin has her squeeze machine. Bill Gates rocks back and forth. A young man in Great Britain carries a well-worn plush lion around with him. And my little girl takes mud baths and reorganizes cards. Here’s what I like about what I saw in the car Tuesday morning. My daughter found a pretty creative way of acting out without, well, acting out. This little episode also shows how intelligent and insightful she can be. She knows she has Aspergers. She knows she’s different. She knows she has challenges that other kids don’t have. And while it can make her sad and frustrated, it has also moved her to find ways to deal with it. I also like the fact that she is experimenting with strategies that don’t get her in trouble or that don’t mark her out for teasing or bullying from her peers. And finally, I like the fact that she’s doing this on her own, without any coaching from her parents or her psychologist. Mind you, this doesn’t happen all the time. There are many times when she will act out more dramatically and more emotionally. But the fact that she worked this one out all on her own makes me smile. It tells me that she will find her way. Now, if I can just get her seven-year-old brother to stop staging mock battles with his little brother when he’s uptight. Or her nine-year-old brother to stop sucking his thumb. Or her four-year-old brother to stop throwing things all around the house. Or her big brother to stop chewing his finger nails down to the cuticles. Baby steps, Leo. Baby steps.